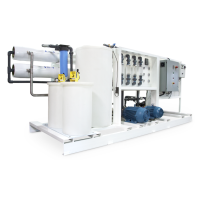 ForeverPure Seawater Desalination Systems use prefiltration, reverse osmosis, and sometimes post-treatment sterilization technologies to convert raw seawater into fully potable water. 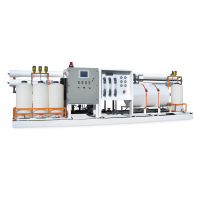 ForeverPure Brackish Water Desalination Systems use prefiltration, reverse osmosis, and sometimes post-treatment sterilization technologies to convert raw brackish water into fully potable water. 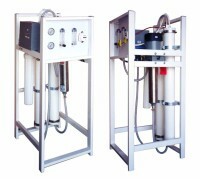 Other ForeverPure Systems available: Tap Water Purification System, Small Scale Brackish Water Desalination System, and a Commercial RO System. Utility and commercial scale solar projects, ranging from grid connect or micro-grid systems, roof top, commercial carports and ground mount. Complete solar-powered seawater and brackish water desalination systems for off-grid applications such as remote villages, towns, beach properties, etc. Complete customized solar and/or wind-powered seawater and brackish water desalination systems providing potable water and clean energy to large off-grid applications. For systems producing 1,000 GPD or greater. ForeverPure Power Containerized Energy Storage Systems are complete renewable energy storage units. 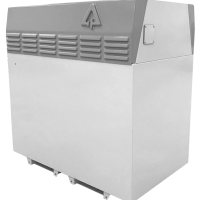 Equipped with HVAC and lighting, Inverters, AC and DC Distribution Boxes, and renewable batteries. 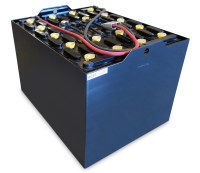 The Avalon™ Flow Battery employs proprietary vanadium-based chemistry and is fully turn-key. Ancillary systems, secondary containment, electrolyte filling and secondary on-site electrical connections are not required. Minimal installation time and cost. 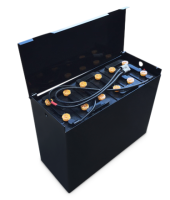 We produce our own high performing line of ForeverPure Power® Renewable Energy Batteries designed to be regularly deeply discharged and recharged to get the most out of a renewable energy system (solar, wind, etc.). Components to keep your water filtration and purification systems running at top efficiency. 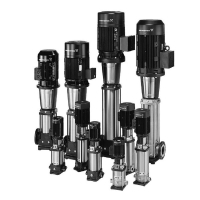 Grundfos, CAT and Danfoss Pumps, Filmtec, Hydranautics and Hydronix Membranes, and Fleck Valves.